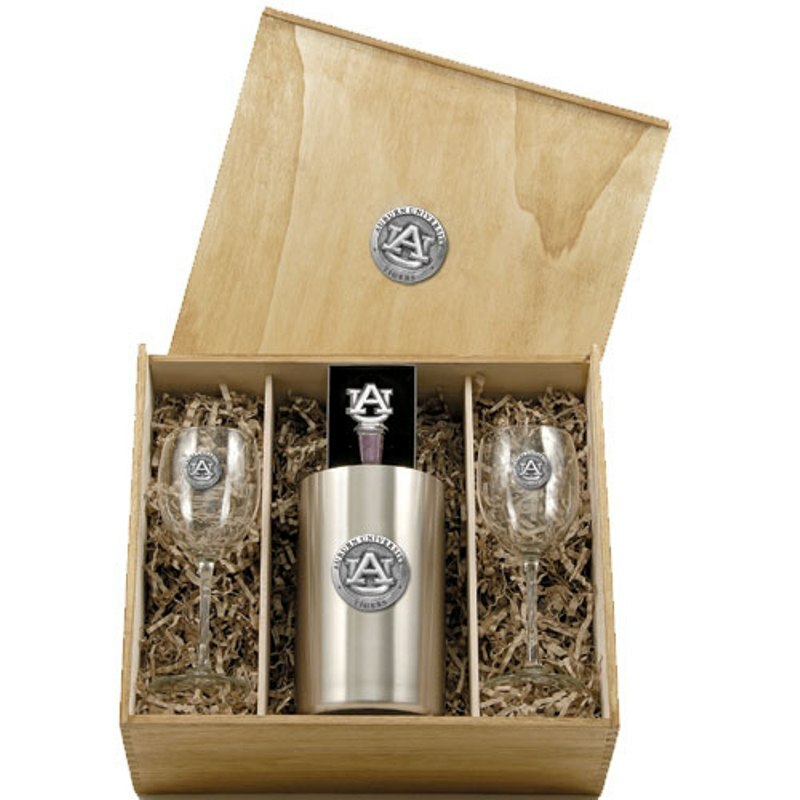 This boxed set contains one stainless steel wine chiller, two (12 ounce) glass goblets, and a bottle stopper. The wine chiller is double wall insulated and, along with the goblets, is embellished with a fine pewter casting. The bottle stopper is cast in solid fine pewter. The synthetic cork will not stain or crack. It comes equipped with a chain attached to a ring which goes around the bottle's neck. Made in USA.